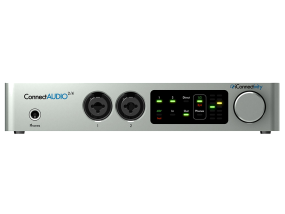 Info über "iConnectivity Connect AUDIO 2/4"
Das neue ConnectAUDIO2/4 USB Audio-MIDI-Interface bietet die bewährte iConnectivity Audio Qualität auf höchstem Niveau, jedoch mit einfachster Bedienung, ohne Schnick Schnack, portabel und in einem äußerst robusten Metall Gehäuse. Dank des komfortablen Touch-Bedienfeldes sind alle Funktionen des ConnectAUDIO2/4 auch mühelos ohne Computer bedienbar. Stand-Alone auf der Bühne oder im Studio. iConnectivity Technologie zum überraschend günstigen Preis. • Capacitive touch display and control surface for all functions, with full metering (no control software needed). • Onboard mixing, and direct monitoring for each input. • 2 XLR ¼” TRS combo analog inputs, each with individual +48V phantom power toggle and impedance switching. • 2 ¼” TRS balanced analog outputs. 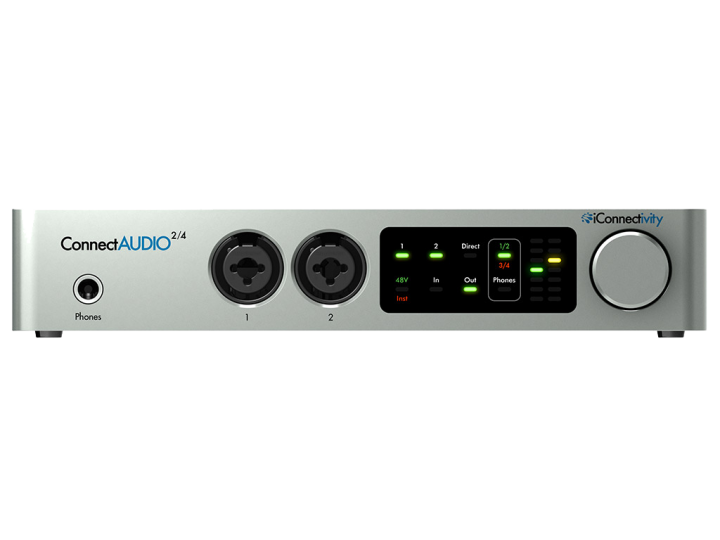 • ¼” headphone output, switchable between monitoring main outs and independent mix. • 1 X 1 MIDI DIN in/out. • High-resolution audio - up to 24-bit/96kHz AD/DA conversion. 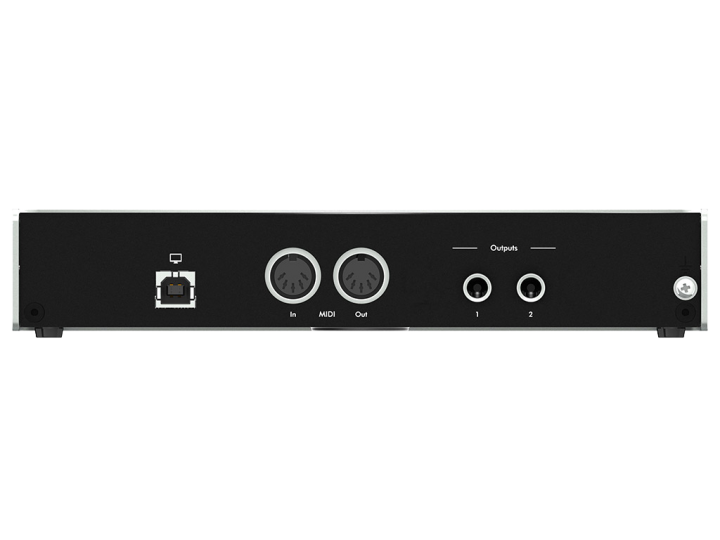 • USB Audio 2.0 and USB MIDI 1.0 Class-Compliant. • USB bus-powered (no wall power required). • Ableton Live Lite software and a selection of loops and samples from Big Fish Audio are included when registering the device. Weiterführende Links zu "iConnectivity Connect AUDIO 2/4"